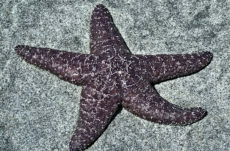 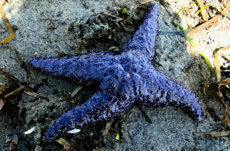 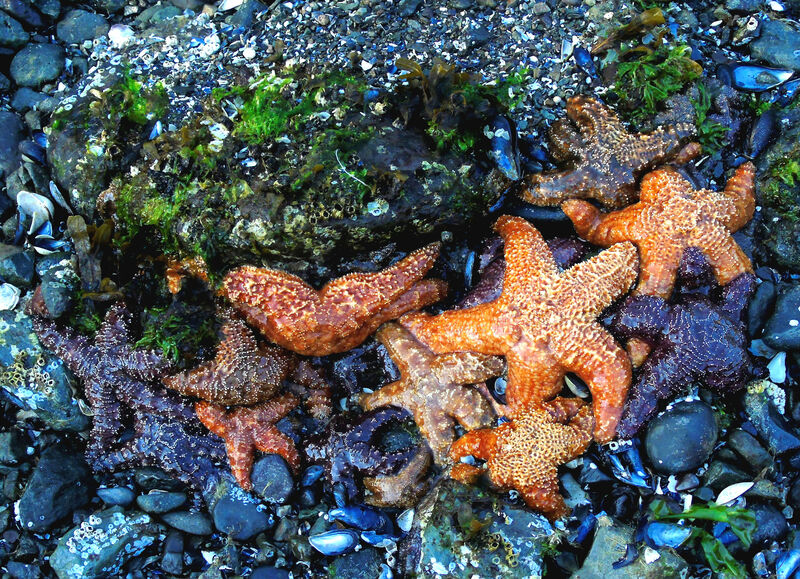 These are the most commonly found starfish in the Pacific northwest on low tide beaches. 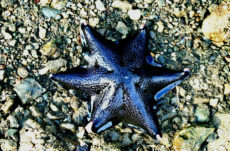 They come in a variety of colours, but can be recognized by their shape, patterned disk, and rounded ray (arm) tips. 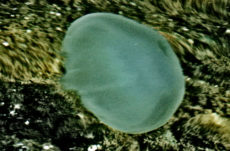 They feed on shelled invertebrates such as mussels, limpets, and snails.